For the uninitiated, logging is the practice of keeping records of user activity while a VPN is connected. Proponents of logging say it’s necessary to ensure their users aren’t breaking any laws or doing things the VPN company finds unsavory (like hogging bandwidth). At a glance, this might have merit. 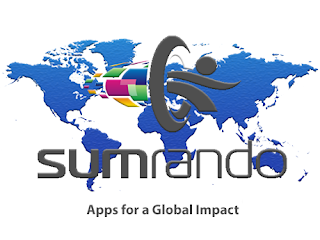 And at SumRando, we certainly don’t want our users participating in hacking, file sharing, or anything else illegal. But we didn’t start SumRando to be an internet nanny. We are a privacy service. And as such, we believe you should have the same degree of privacy on the internet as you do in your own home. Would you rent a flat from a landlord who installed cameras in your living room — even if he promised it was only to prevent illegal activity? We sure wouldn’t. Here’s a fun fact: Your ISP keeps records of everything you do online. Should your government provide the proper paperwork, every site you’ve visited will become public information. Truthfully, any VPN out there will prevent your ISP from monitoring your activity. But if you choose a VPN that logs your data, you aren’t actually increasing your privacy in a meaningful way — you’re simply trading one online monitor for another and it’s just as easy for courts and governments to subpoena your activity from a mediocre VPN service as from your ISP. So please, when you’re shopping for a VPN service, read the fine print. There are a lot of great options out there (we think ours is pretty great), but before you buy, make sure the service you choose takes your privacy as seriously as you do.